Needless to mention that you can't ignore making the project plan before you jump into the business set-up. Everyday I get mails asking 'how to start garment business in small scale' and many other questions related to business start-up in garment industry. Most of the email senders seem completely new to garment manufacturing. If you are looking for ideas for starting small business in the garment industry, read 10 Small Business Ideas in Garment Industry before you start reading following business plan. This article is written to give you an idea how to make a business plan for garment manufacturing start-up. What all things you can start working before the approach for an expert's help. Instead of telling you how to start garment business, I will share what are primary things you need to know, when you are ready to start your business. There are two ways to a start business. One, first get customers (buyers) and make products according to them and sell. Second, make your product first and then get customers to sell your product. Whatever way you choose to do business, you need to work on the following things to make your project successful. Read the step-by-step guide for making your business plan. In some steps you might need expert's advice. In the article, I have included links for your further reading to understand the business better. What type of garments you are going to make? If you plan to make knits garment (T-Shirts, Polo ), you would not try to make woven products (Shirts, Trousers) at the same time. Again in woven and knits there is wide range of product categories. Narrow you product profile as much as possible. Lets say, you are going to make woven shirts - Formals and Casuals. Write name of the product in your note book and move to the second point. How many pieces are you planning to make daily? 50 shirts or 500 shirts per day? It would be difficult to decide the figure at this stage but you have to estimate a rough number. Later you can modify this figure depending on the budget and customer demand. Otherwise you can't move forward making your business plan. When my clients ask me question how many machines and what all machines they need to buy for their garment manufacturing set up, I ask them what (product name or type) do they want to make and how many pieces of garments they are planning to make per day. Read 'How to Calculate Production Capacity of a Factory'. On the above I have said to you to estimate production requirement. If you have decided the production figure, and product type, number of sewing machines and other equipment requirement can be calculated. Calculation can be also done in reverse way. In case you have a plan of setting specific number of machines, and product type, estimated production per day can be calculated. Here is the resource "How to Determine Machine Requirement for a New Factory" for your further reading. Next step is to find what types of machines are required to make garments that you have selected from the wide range of product categories. For example, read Types of Machines used by Shirt Making Factory. It is also important to find number of machines to be purchased in each machine type. This step would help you to calculate capital investment in machines. With sewing machines, make a list of other essential machines, equipment and set up requirements. For example, pressing tables, cutting room machines, Boiler (steam generator) for pressing table, diesel generator for power back-up, finishing room equipment, furnishings etc. You have already selected the product that you are going to make. 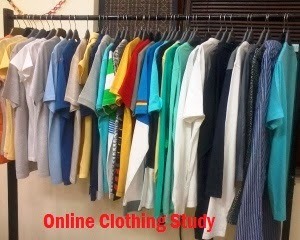 Now make a list of raw materials required to make the garment with average consumption. This would help you to prepare your budget on material sourcing. A sample material list for knitted garment with projected cost has been published here. Now move one step ahead. How much space is required for installing machines and office for staff? To set up factory you need space for installing machines, office space and setting up departments for production and associated processes. Calculate space requirement. According to that you have can plan for a factory building or rent a space. Estimate rent amount for the project budget. You have already planned for machines and materials. Now plan for the requirement of manpower for the business. Manpower is one of the primary resources for a business. In manpower planning, include number of staffs, supervisors and workers (operators and helpers) you need to hire to make projected garments and to run business smoothly. Also estimate salaries for each employee and add to your budget to running cost. Get an idea from the market how much salary you need to pay to managers and workers. I frequently get asked by people, how much money one needs to invest for the small size garment business? Here it is. To know the estimated budget you have to prepare cost of the project. You need to calculate total capital investment, Rent, EMI amount (if you are taking loan), salary for staff, workers wages and running costs. Also include finance required for sourcing raw materials for initial months and other expense etc. To run you business without financial problem, prepare monthly cash flow requirement for at least one year. To estimate project cost you can seek help from an expert. This process is not essential at first place. But you can start working on finding good and reliable suppliers for fabrics, trims and other necessary items required to manufacture your garments. Start establishing suppliers with your region, then go to other state and even you can source from international market for the quality and cost effective materials. You have finished the major part of making the garment manufacturing project. Now make a list of potential customers and start contacting them for business leads. If you are new to garment manufacturing and want to enter into garment business seek help from an expert. An expert's guidance will help you to save your time, money, and efforts. You can also learn many things about the business insights from an expert. Wish you all the best for your upcoming garment business project.